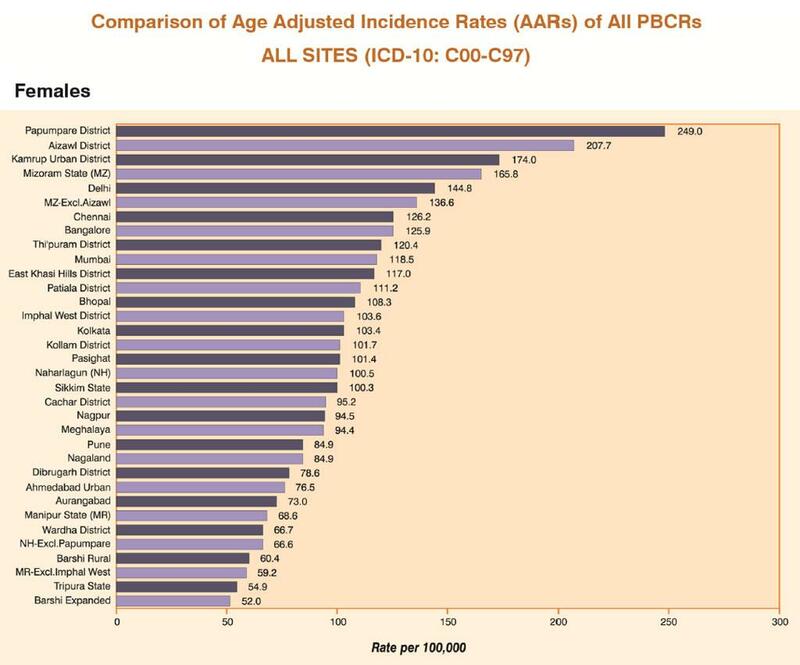 The National Cancer Registry Programme, run by the Indian Council of Medical Research (ICMR) recently released its data for the years 2012-2014 and it reveals some very sobering facts. The data shows that men living in Aizawl, Mizoram and women living in the Papumpare district of Arunachal Pradesh suffer the most from cancer. The data shows that in Aizawl, the age-adjusted incidence rate or AAR (which is derived statistically and allows comparison between communities with different age structures) per 100,000 people is 271 for men. It is 249 for women in Papumpare district. 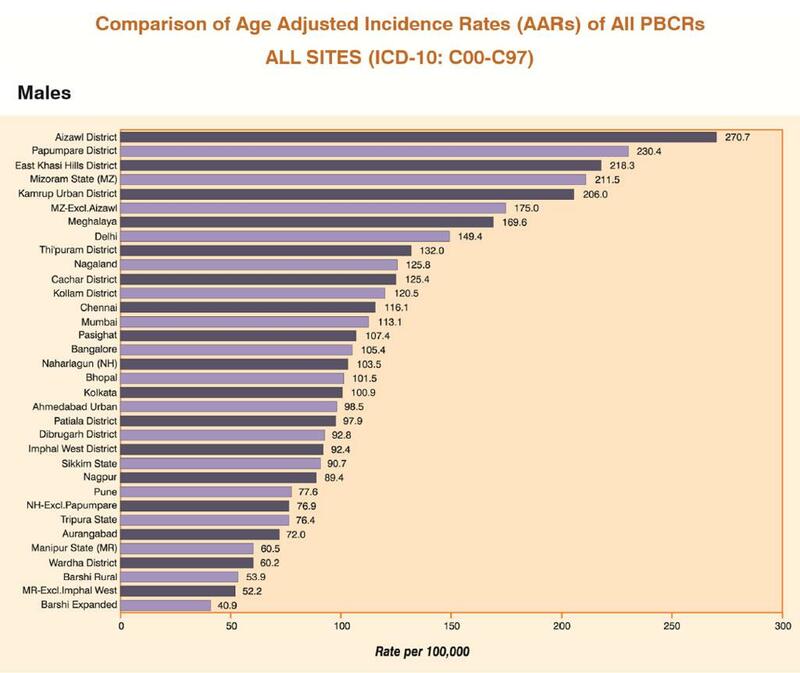 Further, the data shows that Delhi and Chennai have seen a sharp rise in cancer cases in both, men and women. ICMR links the rise in cancer cases to general increase in life expectancy, better diagnostics and more awareness. 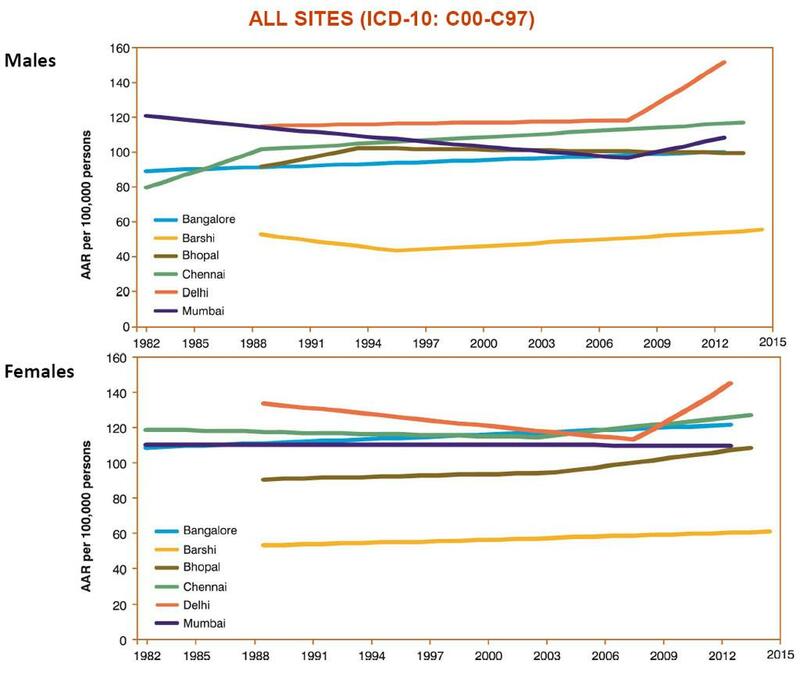 Cancer data has been collected in India as per international norms since 1982. 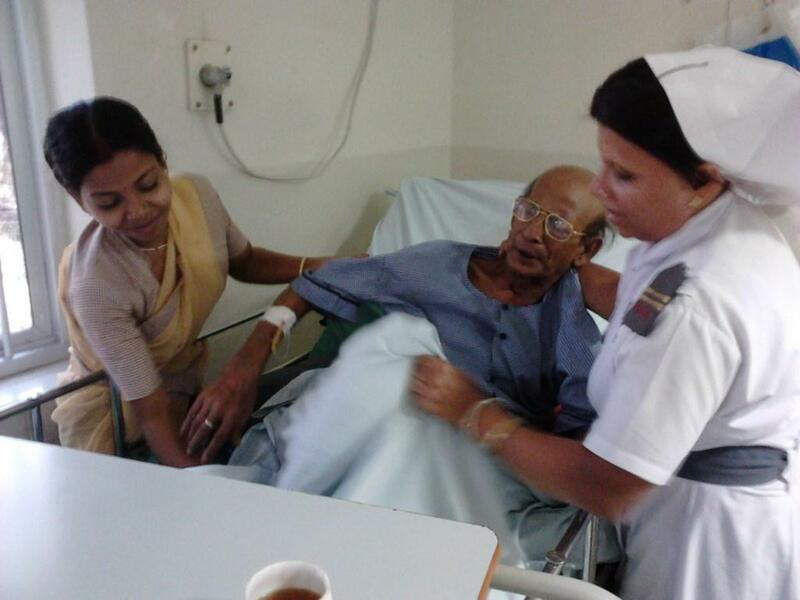 India has a network of hospital-based and population-based cancer registries. ICMR also estimates that in the year 2016 around 14.5 lakh new cancer cases can be expected. The data suggests that women are likely to suffer the most from cancer in 2016. Breast cancer alone contributes 1.5 lakh of the cases. This is equivalent to 10 per cent of the total cases. Around 1.45 lakh women and 0.05 men are expected to contract the disease. This is followed by lung cancer which would affect 1.14 lakh people during 2016. Cancer of the cervix, which is restricted to women, is likely to be the third most common cancer and 1.04 lakh new cases are estimated in 2016. Such cancer projections are needed to plan and prioritise health care services. In 2013 too, ICMR had made projections of an estimated 11.49 lakh cases of cancer for the year 2015. The current data shows that the actual number of cases has surpassed the estimated numbers. In the 2016 report, ICMR estimates that India is likely to see 17.3 lakh new cancer cases in 2020. This is much higher than the 13.21 lakh cases projected in 2013. Such state and region wise data could help devise specific cancer control programs in the region. It is clear that to reduce the increasing trend, it is important to cut down on the risk factors that lead to cancer. The latest data shows that use of tobacco is the biggest reason for cancer in India—using tobacco accounts for about 30 per cent of all cancer. In men, the population-based cancer registry showed that tobacco-linked cancers were as high as 65.2 per cent in men in Megahlaya and 42.3 per cent in women in this state.